These 1 key apartments are set in the resort of Cala Millor and are approximately 600mtrs from the beach and commercial centre. There are 32 apartments and studios set over 4 floors offering bathroom with shower. Kitchenette, with microwave and fridge. The apartments have satellite television, telephone,either a balcony or terrace and safety deposit boxes are available to rent, currency exchange is available via the reception area. There’s a pool with sun loungers, a café and pool bars. 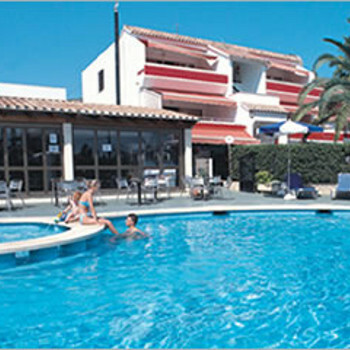 The Cala Millor Pins is a good clean basic apartments that has a good location in Cala Millor. Overall they represent good value for money when travelling on a limited budget.